The patchwork inspiration starts young! | Eastwood Patchwork Quilters Inc. The patchwork inspiration starts young! If any of you know the EPQ Exhibition Secretary, Robyn, you will know that she loves patchwork and she especially loves colour. Perhaps that love started at a very young age. 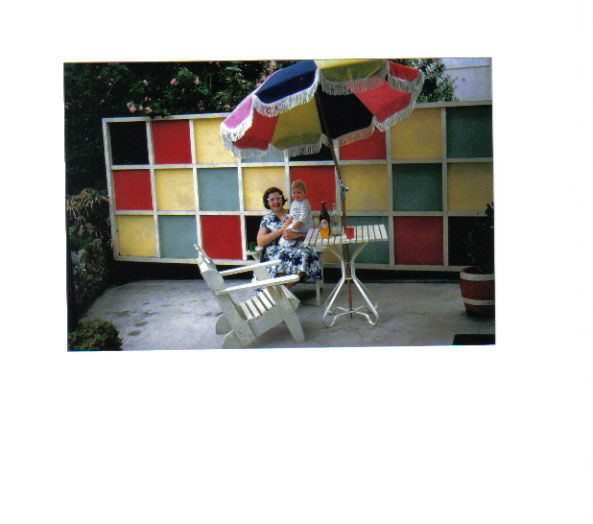 Robyn and her mum in front of a very patchwork-like wall made by her dad to match his wife’s umbrella. This entry was posted in Eastwood Patchwork Quilters, patchwork and tagged colour, Eastwood Patchwork Quilters, patchwork by eastwoodpatchworkquilters. Bookmark the permalink.